Give the Gift of Warmth!! Please save your kids’ winter clothes, don’t put it away, donate them to the Coat Drive. 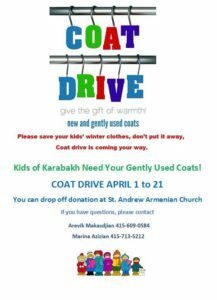 Kids of Karabakh need your gently used coats! !